During the past two years, Health Quest New York has undertaken an initiative to update its order set repository, which is facilitated by vendor Zynx Health's evidence-based computerized physician order entry systems Author Space and Knowledge Analyzer. Zynx Health's new tool, known as Lumynz, is a "novel instrument that allows leaders to visualize the impacts of such interventions, and furthermore offers them an opportunity to act upon those identified barriers in a facile way," she said. At this stage, the benefits of Lumynz's capabilities have yet to be fully realized, Philiba explained. "We have been able to ascertain accurate quantified trending, which reflects the impact of IT interventions on clinical and financial outcomes, and are excited to further explore the capabilities of this product once access is extended beyond the initial group," she said. "The fact that Lumynz is able to perform these analytics in near real time via collaboration with our Cerner EHR and Health Catalyst data warehousing resource allows us to dynamically track and filter the results to pinpoint opportunities for improvement from more global and granular perspectives," she added. 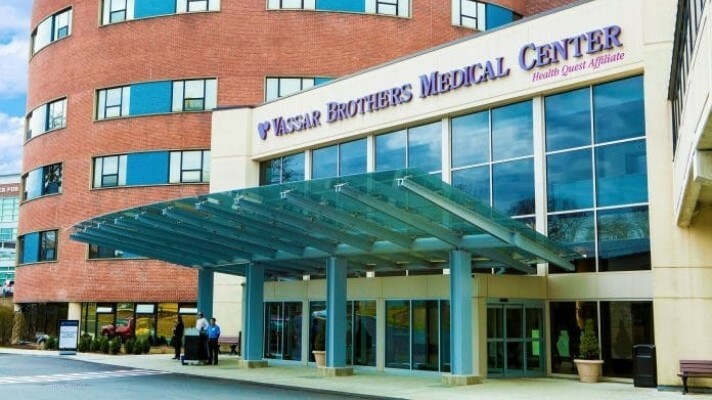 The hope for future interoperability with Tiger Connect, the organization's HIPAA- compliant texting platform, will enhance the provider's ability to reach its providers in a venue they already regard as a reliable source for pertinent clinical communication, said Philiba. "Lumynz as it currently stands allows administrators to deliver opportunities for CE credit, and more important, new findings, standards and guidelines directly to the individual physicians whose patients would benefit most from application of specific interventions," she explained. "Last March, we implemented a venous thromboembolism (VTE) prophylaxis alert but briefly turned it off in May to troubleshoot," said Philiba. "Lumynz revealed the initial impact of a 20 percent increase in compliance with this 'vital intervention,' reflected the oscillation with alert deactivation and subsequent reactivation, and provided concrete validation that, at minimum, 92 percent of heart failure patients are receiving evidence-based care." "We have been able to ascertain accurate quantified trending, which reflects the impact of IT interventions on clinical and financial outcomes." Zynx-identified exogenous 'vital interventions' – treatments that have published evidence that suggest can have measurable impacts on quality, clinical and financial metrics – were cross-walked against Health Quest's Cerner-endogenous order repository to determine whether a particular modality was applied or at least considered within the constellation of care provided to patients at Health Quest facilities, she explained. "Monitoring outcomes for this type of initiative is usually a manual, tedious and ultimately time-consuming analysis to identify reeducation targets, followed by a lag period while coordinating schedules with busy clinicians so I can finally provide a small pearl to which they may very well have sound clinical reasoning for avoiding in a particular scenario," she added. "With Lumynz, in one click I was able to see whether we were addressing VTE risk among heart failure patients as a whole for all hospitals in our health system." "Click, answer: Yes, 92 percent of the time," said Philiba. "Now, imagine if you could answer each of the following queries in a single click: Which hospital has poorest adherence to this measure? Are we charging for those interventions appropriately or not? How many dollars could we stand to gain or lose if we changed our current practices? What provider wasn't managing their patients this way? Which of his/her patients might be affected? Do I want to reach out to these three physicians who I notice don't address this vital intervention in X number of their patients, and provide them the updated evidence? Yes. Click. Message Sent." "Lumynz reduced a fairly arduous and time-intensive workflow into a series of clicks that I just described in about 30 seconds," Philiba said. "Imagine having that kind of insight, and a tool that enables you to do something about it, with the click of a button. And here's the best part: Now you get to watch the impact of those clicks reflected in dollars, cents and order trends, on patient outcomes, in real time, in the system's dashboard."